Our next instruction was to traverse by night over many more miles of hostile territory, to find a shelter serving as base for a suspected terrorist cell. Once there, we were to infiltrate the premises and collect as much detailed information, “intelligence”, as we could. We were exhausted, but we knew there was no choice but to press on. That day we managed, somewhat miraculously, to make the entire leg of the trip undetected by the bad guys, although we could hear them patrolling the roads with their noisy Mack trucks, engaging the other groups in firefights. 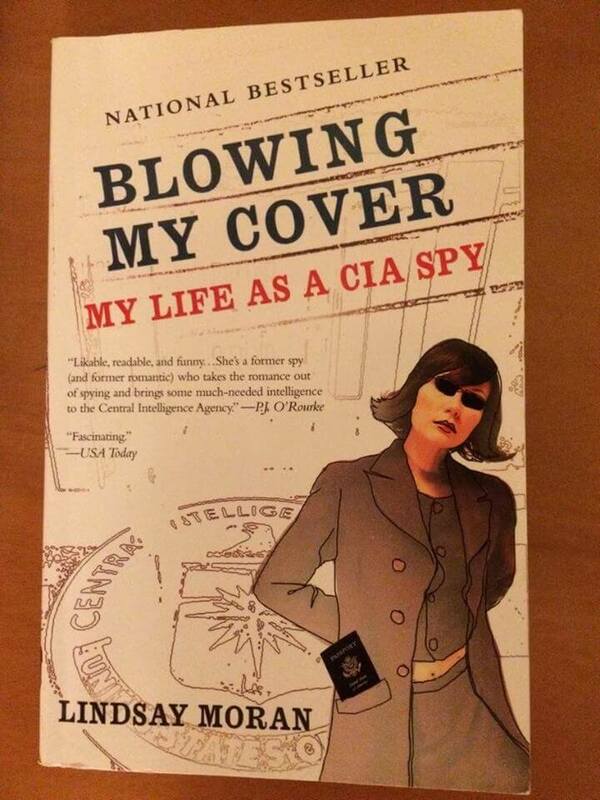 Blowing my cover – My life as a CIA spy is a memoir of a former CIA operative, who ended up resigning the Agency after 5 years. Moran carefully describes her training and her motives to join (and to resign) from CIA. The style of writing is rather cynical, but entertaining in the same time. I was interested in the book because she operated in the Balkans, but the former spy doesn’t dwell on her missions. The book presents in great detail how the CIA training for operatives takes place, such as escaping tails, noticing details, gathering intelligence, making contacts. This part was practical and quick-paced. The other part, intertwining with her training and missions, was a psychological analysis of her reasons to work for the Agency. She considered her job a lonely, difficult, rather boring job, with little solace. However, the analysis does not go very deep. To provide a context, Moran worked in the Balkans around 2000-2003 and the 9/11 attacks were in 2001. In comparison with the CIA agents in Afghanistan, the Balkans must have been very boring. The writing could have used more polishing, but it was an interesting reading.